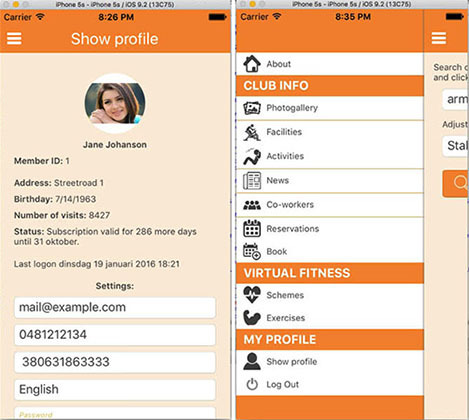 iOS and Android mobile application for fitness clubs members. Most of app’s design can be customized from server, so we don’t need to make new app version, only update design files on server. Apps are distributing to many Belgian fitness clubs.